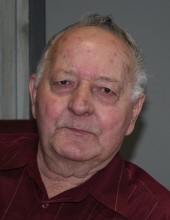 Joe Altimore, age 80, of Midway, Texas, passed away Sunday, August 5, 2018 at his home in Midway. Funeral services have been scheduled for 10 A.M., Thursday, August 9th at the Madisonville Funeral Home Chapel in Madisonville, Texas. Interment will be held that afternoon at 1 P.M. in Rosewood Memorial Park in Humble, Texas. Public visitation will take place from 6 P.M. to 8 P.M., Wednesday, August 8th at the funeral home in Madisonville. Joe Wayne Altimore was born October 9, 1937 in Houston, Texas. He worked as a salesman for Lone Star Beer and lived most of his life in Houston. Joe loved fishing. He owned a houseboat and spent a lot of time fishing and setting trot lines at Lake Houston. Joe had lived in the Midway area since 1995 and was a member of the United Pentecostal Church. Joe was preceded in death by son, Joe Altimore, Jr., daughter, Brenda Gourley and step-daughter, Kathy Girard. Surviving family members include wife, Jewel Altimore of Midway; sons, Oren Altimore (Monique Jackson) of Madisonville and Mike Jordan (Beth) of Huntsville; sister, Peggy Adams of Florida; eight grandchildren and nine great grandchildren. Madisonville Funeral Home in Madisonville, Texas is entrusted with arrangements. To send flowers or a remembrance gift to the family of Joe Wayne Altimore, please visit our Tribute Store. "Email Address" would like to share the life celebration of Joe Wayne Altimore. Click on the "link" to go to share a favorite memory or leave a condolence message for the family.